Used to transmit power from one busbar to another busbar or to a printed circuit board. 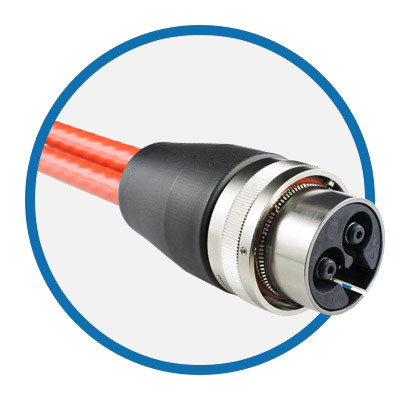 Design: The connector is made of two rows of contacts and an insulator body. It includes solder tabs for mounting onto a PCB. 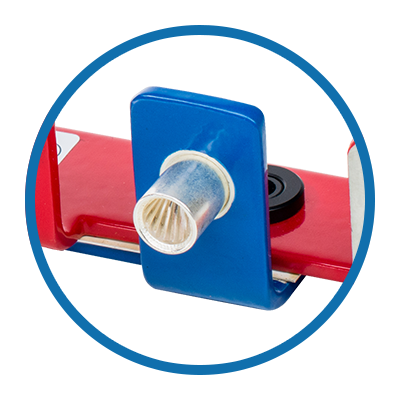 Design: The connector is screw-mount, four finger design with a guide bracket to eliminate over insertion of the mating blade. 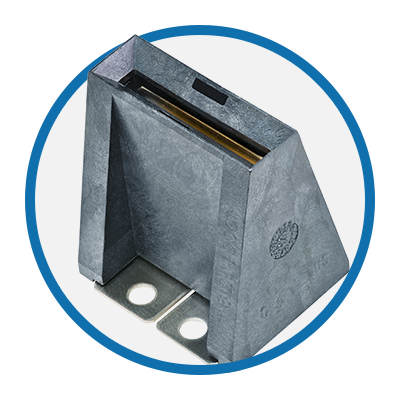 The product can be mounted on either a busbar or a PCB. 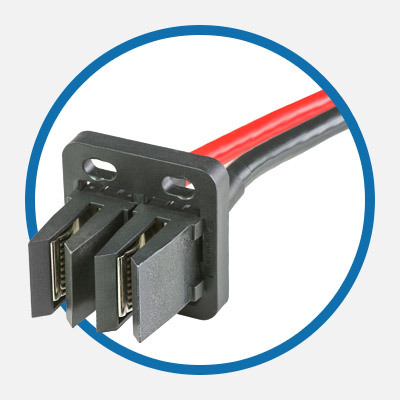 Design: The connector is screw-mount, vertical, blade design with two separate contacts. This allows the product to be a single pole (300A) or dual pole (150A each) interconnect. The product can be mounted on either a busbar or a PCB. Design: The connector is screw-mount, vertical, six finger design with a guide bracket to eliminate over insertion of the mating blade. The product can be mounted on either a busbar or a PCB. Design: High power busbar (bus duct) connections, can accommodate various thicknesses, scalable, and field installable.